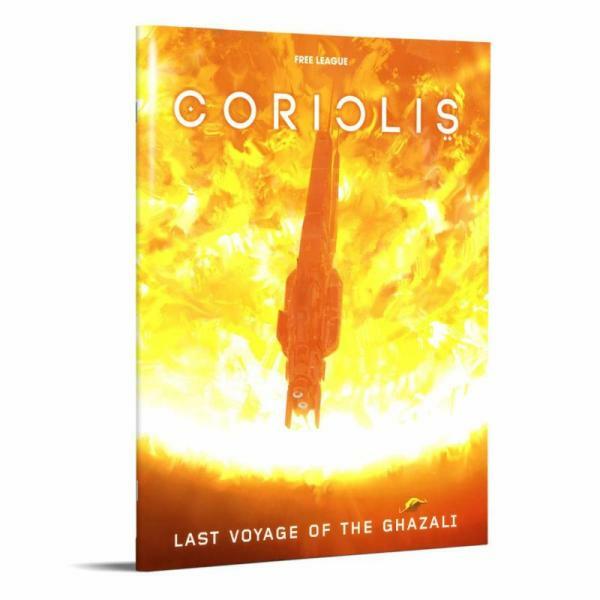 Home Headlines Coriolis: Emissary Lost, Last Voyage of the Ghazali & Dice Set all Released! Today we’re really pleased to announce the release of three brand new products in print and PDF for Coriolis The Third Horizon, Free League’s award-winning RPG which has been described as Arabian Nights in Space! Emissary Lost kicks off the massive new Mercy of the Icons campaign, with a huge, full colour hardback to really get your teeth into, while Last Voyage of the Ghazali is an action packed scenario aboard a decommissioned cruise liner. Both are supported by a brand new Coriolis Dice Set for your rolling pleasure and all three are available as part of the Coriolis Collection on Modiphius.net. A detailed background of the events and plots that threaten the balance of the Third Horizon. 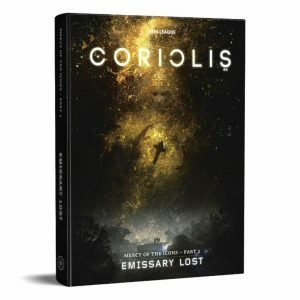 In the Wake of the Martyr – an investigative scenario based on Coriolis station. The hunt for clues will bring the characters to the bustling Ozone Plaza, to the decadent elites in the Spire, and deep down into the darkness of the Cellar. 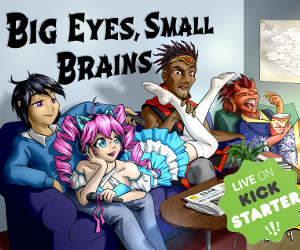 The Kuan Connection, the second scenario in the book, takes the characters down to the surface of planet Kua. There, they will follow a trail of blood through the jungles, immerse themselves in the violent politics of the Zenithian colonies, and search for answers in the shadow of the mighty Monolith. The Coriolis Dice Set is a set of 10 engraved custom dice, designed specifically for the Coriolis – The Third Horizon roleplaying game. These dice support the game mechanics of Coriolis, but can also be used as normal six-sided dice for any game. We hope you enjoy these latest releases and look out for more great Coriolis products – coming soon !